Damn! 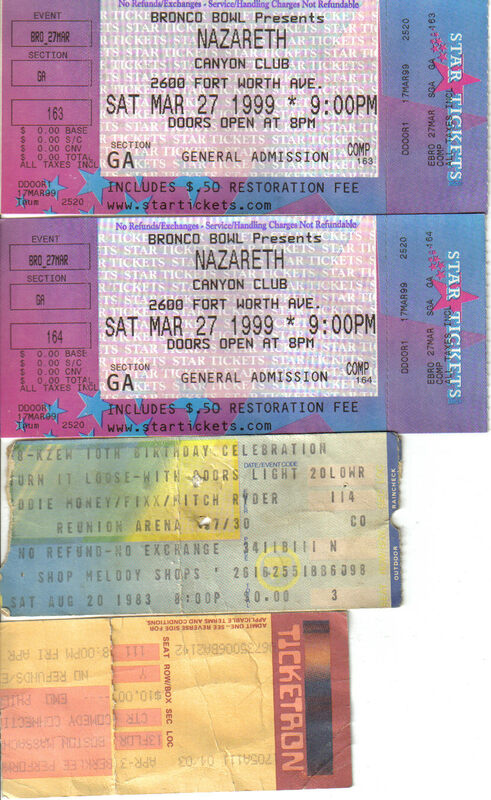 Nazareth Rocks, I seen those guys a couple of times, one of them was later on when they were playing smaller venues, we were literally sitting about 6-8 ft from the singer, he walks over and starts letting us sing in with him! You know who copied off them? Guns-n-Roses, check inside their CD and you'll find at least one name from a Nazareth guy, thanking him. this was a "later on" show in a 2000 seat theatre the other half of the building is a bowling alley. awesome place to see a show. throw a few frames after the show. forgot to say that it's a Home Depot now. Edited 1 time(s). Last edit at 07/08/2007 09:52AM by fossil_digger. Yeah man the Bronco Bowl was an awesome place for seein a band ! I can remember as a kid when it was built and what an amazing place it was in that time.